We are proud to announce we are an Official, "LOCKS OF LOVE" salon, donating hair to children that have cancer. 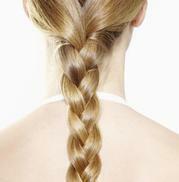 Hair must be at least 8 to 10" braided and NOT bleached. Get your Color Glossing on for just $55. We are doing the latest technique in Hair Coloring The Ombre call us for an appointment today.